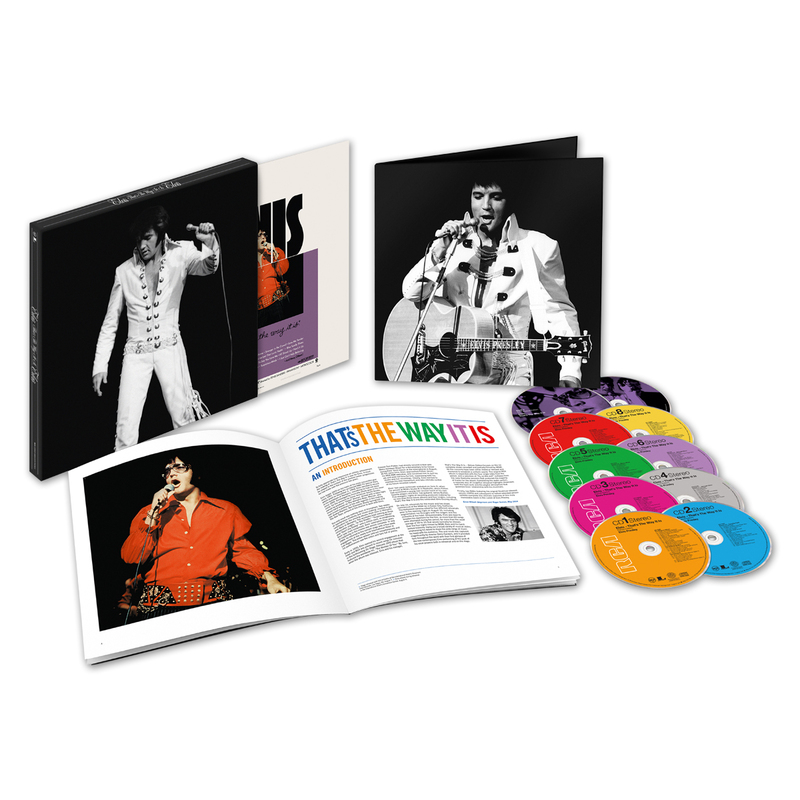 This 8 CD / 2 DVD deluxe edition of Elvis: That's The Way It Is features the six complete shows recorded and partially filmed by MGM. All the concerts have been either mixed or remixed and digitally re-mastered to provide the ultimate audio experience. The original RCA album is expanded with the four single sides from the period, and a selection of "fly-on-the-wall" outtakes from the June Nashville sessions that produced the majority of tracks for the album. Completing the audio section, a separate disc of insightful rehearsal highlights showcases both the hard work and the playful atmosphere that governed Elvis' relationship with his musicians. It also includes a 80-page, 4 color book that features rare photos, memorabilia, recording data and insightful liner notes. 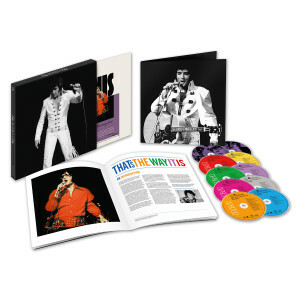 Finally, two DVDs featuring the original theatrical version (1970) and subsequent re-edited extended version (2000) completes the ultimate overview of this truly memorable event in the career of Elvis Presley. 2001 Special Edition Restoration Featurette Patch It Up: The Restoration of "Elvis – That’s The Way It Is"